WashCo Bikes is in a growth phase. We are seeking individuals who are passionate about our mission, and with leadership, organizational management, and communication skills from diverse backgrounds who fully represent the all facets of the bicycling culture in Washington County. Specifically, we are seeing individuals with experience in business, finance or accounting (for the Treasurer position), as well as project management, law, human resources, and general nonprofit management. Previously known as The Washington County Bicycle Transportation Coalition (WashCo BTC). WashCo Bikes is a 501 (c)(3) non-profit organization whose members have been a consistent voice for the bicycling community in Washington County, Oregon. The roots of the organization can be traced back to the late 1990's, but it officially became an independent non-profit agency in 2005. To promote bicycle transportation, protect bicyclists' rights and improve bicycling conditions throughout Washington County, Oregon through education, advocacy and community. What is the Goal of WashCo Bikes? WashCo Bikes wants everyone in the community to experience the joy of riding a bike. When possible we want to see more people trade the four wheels of their car for the two wheels of a bike. We want to improve the safety of our roads for all users. We believe that cyclists will ride more and have more confidence on the road if they have the knowledge and skills to ride in a safe and legal manner. And through our Saddle Up Summer Bike Camps for kids, we want to plant the bicycling seed in the next generation with the goal of producing lifelong cyclists. WashCo Bikes' Community Bicycle Center provides reasonable cost used bikes, accessories, and repair services for the community. Our newly expanded hop now affords us the space to offer a broader range of programming, like basic bike maintenance classes, to the public With a focus on recycling or rebuilding unwanted bikes, our group keeps hundreds of bicycles out of the landfill each year and instead gets them into the hands of people who can use and enjoy them! Saddle Up Summer Bike Camps provides a great experience for youth ages 9-12. While the focus is on learning safe cycling skills, campers have a huge amount of fun riding with friends to new places and participating in unique learning experiences. Our goal is simple- we wish to foster the next generation of life long cyclists. The Adopt-a-Bike program is also focused on youth. We give bike, helmets, and locks to up to 200 low income and deserving youth in Washington County. We also give some free bikes to low-income adults. We provide a variety of bike safety educations for both youth and adults. Currently, we are in the process of delivering safety programming for the Safe Routes to School programs in several school districts. During the past 10 years, several hundred adults have taken and benefited from our Confidence in Traffic clinics. Through a combination of online and on street training, participants learn traffic laws and develop the skills to safely and confidently ride their bikes in traffic. These clinics are taught by League Cycling Instructors who are trained and certified by the League of American Bicyclists. As WashCo Bikes continues to grow, we will seek opportunities to develop and present a variety of family focused events. Our goal is to get people out, active, and on bikes her in Washington County. Some examples include the Rock n' Roll Ride and Gold Rush Fun Run this September, future bike rodeos for kids and other bike-related programming, outreach, and advocacy. WashCo Bike's Board of Directors plays an important and very "hands on" role in the operation and promotion of the organization and its mission. We are a working board in addition to long term planning and management of the organization. Formal board meetings are held once a month. As the organization is still quite small, there are opportunities/needs for board members to take on additional volunteer duties, or pursue special projects outside our formal meetings. Interested candidates should submit a complete Board of Directors application. The Executive Director and representatives from the current board will interview selected candidates. 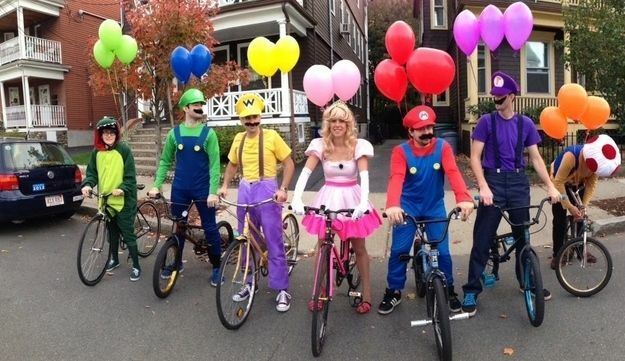 Get your team with their party costumes and get ready to ride and run. Loop options for families and all skill levels. The ride options include 10, 25 and 45 mile loops starting and ending at the museum. Planning for bringing Sunday Parkways to Washington County in 2020 has begun. Stay tuned for details as they emerge. As you can image, this is a huge undertaking and takes some time to bring it all together. We're looking for sponsors and volunteers.